Sandra is a partner in the firm, and lawyer in the Private Law department. Her specialisation is in Civil and Commercial Law, and in Property Law and she has extensive experience in litigation and arbitration. She is responsible for the area of Family and Inheritance Law. 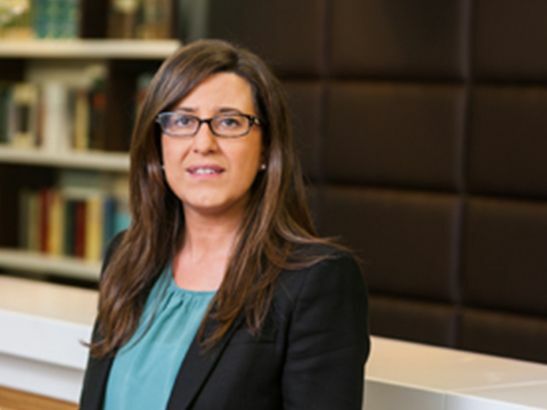 Before joining Caamaño, Concheiro & Seoane she worked in the firm Abuin Abogados. With extensive training in Business law, Sandra Freire is a Law graduate from the University of A Coruña, and has furthered her knowledge by obtaining a Masters in Legal Consulting from the Instituto de la Empresa (Madrid), a Masters in Property and Town Planning from the University of Santiago de Compostela, and a Masters in Family and Inheritance Law, also from the University of Santiago de Compostela.